At this section I am writing about plans and results of Low Band activity. My city QTH is too noisy and I am trying to use available towers in the countryside QTH which belongs to research center. That is why my Low Band activity limited to major contests and DX-peditions. Some pictures of the station are available in Picture Gallery section. So far I logged 624 USA qso's on 160 meters and 1373 qso's on 80 meters as per January 1, 2017. 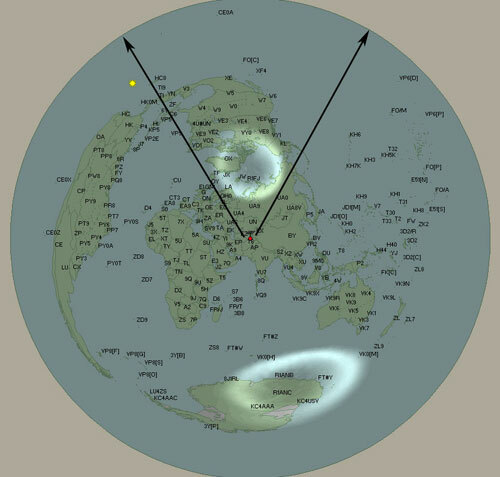 You can see on the picture below that whole continental USA comes over polar pass. Excellent season start with great new ones: S0, VP8/SS, KH5. Hopefully more to follow. Preparation started on Contest/Remote QTH upgrade. 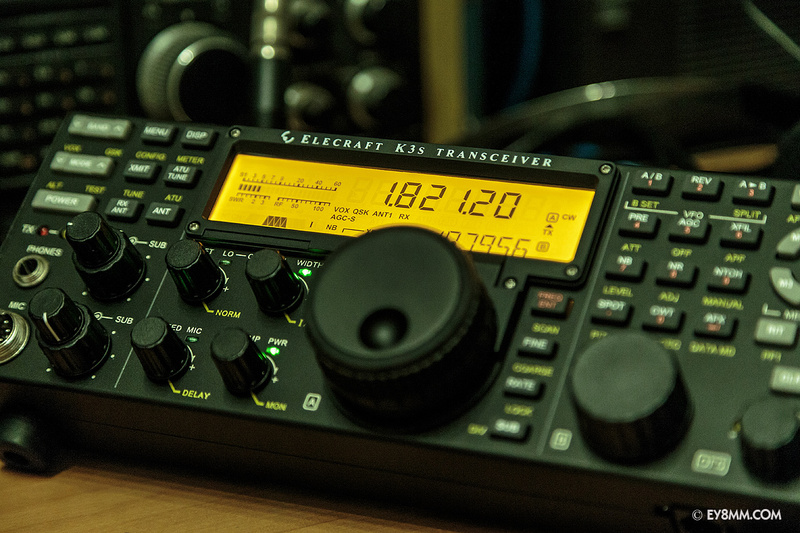 It is planned to replace IC-756PRO3 radio on remote position by Elecraft K3. I started testing k3/0-Mini device which is just arrived. Worked EP6T, HV0A, K1N, TI9/3Z9DX for New Ones. 2014 was quite successful in Topband DXing even most of season I was in Indian Ocean on FT5ZM DX-pedition. New ones worked: 1A0KM, TY1AA, FT4TA, W1AW/KH8, V5/DL3DXX. Finally Beverage antenna switching was made for remote. TNX RA6LBS! Great Topband DX meetings in Ham Radio in Germany and WRTC in United Sates. 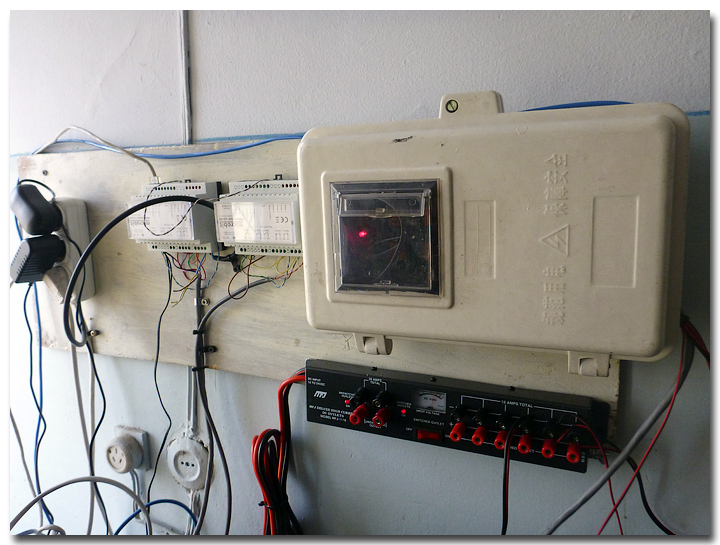 Last two years I spent a lot of efforts to built remote control system. I am glad to say that starting fall 2012 I was able to solve most of the problems and have station up and runnung. I operate station from city QTH which is about 14 km from Low Band countryside station. There are still some minor problem to overcome but it already started to pay devidents. I do operate almost daily which makes me available for skeds. Much easier to work New Ones. 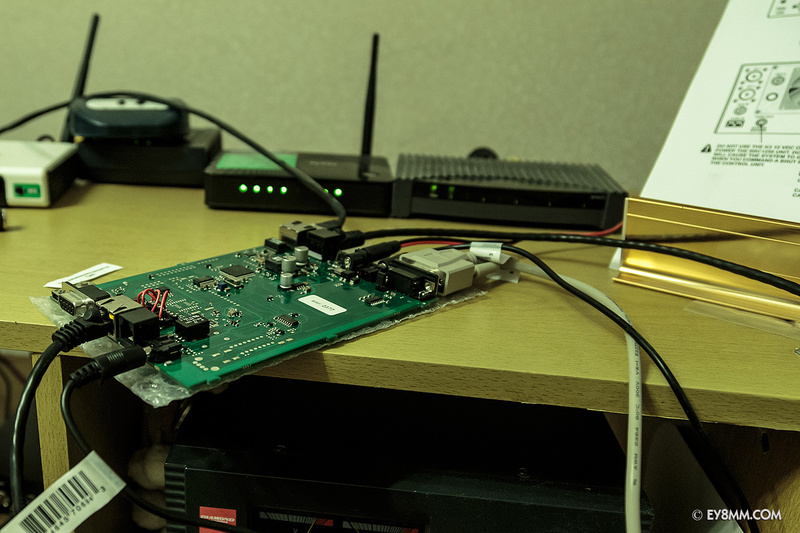 Couple of years ago I started blog about each New One I work on Topband. It is on Russian language since my writting English is embarassing.... I am trying to add little more information about station I worked to learn who is beyond callsign. Feel free to use online translate service if you are interested. Here the links to articles below. Latest pictures from Contest station. I am making a lot of tests so cables not in proper order till I can achive all goals. So it is an exuse for messy view. CQ magazine published results of CQ WW DX CW Contest 2010. EY8MM 1st place World SOSB 160 m.
CQ magazine published results of CQ WW DX CW Contest 2009. EY8MM 1st place World SOSB 160 m.
We are going to operate CQ WW 160 SSB as Multi Op. EY8ZF team: EY8BI, EY8MM, K4ZW, RV0AR. Following week Ken EY8/K4ZW and Pavel EY8/RV0AR will operate 160-40 using their call signs. WAS 160 meters # 1086 issued. December 9, 2009 at 2327Z WAS 160 m was completed with two QSOs. AB4IQ (KY) and W0SD (SD) came back to my CQ. Unless 80 m which takes years of hard work WAS on 160 m took eleven month of active stage. Propagation on Jan 22 was starting point and within few days I reached 40+ states level. Fall season conditions allowed me to work rest of States I was looking for. As far as my knowlidge this is second 160 WAS made from Zone 17. 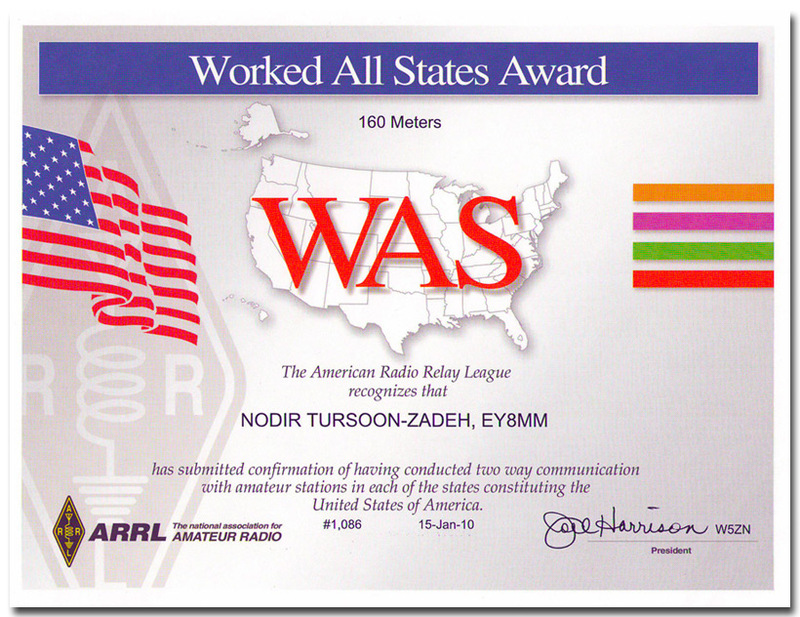 Gena UA9MA completed this award few weeks earlier. I would like to thank all US Hams who helped me with this project for their pation, comming for skeds and waiting for short opennings to make a QSO. Excellent openning to NA today. Worked 4 new States. Sorry for those whom I was not able to pull out of noise. Being called by HC8GR was fantastic surprise! Worked Yuri VE2IM for last zone on 160 meters today. Yuri was weak but stable copy for 30 minutes before he heard I am calling. All day spent for RX antenna installation. Now all Beverages up and station ready for contest. Some minor changes in antennas planned. Even condition was not perfect today and polar passes was closed completely few DX came into the log on 160. Three new countries VK9XX, A25NW, FG/F6AUS. Perfect signals from AFRICA 9L7NS, 5N7MGI and Sourth America. Worked 4 stations from Brasil with very special signals. Please look for me on 160 every night including in the contest. 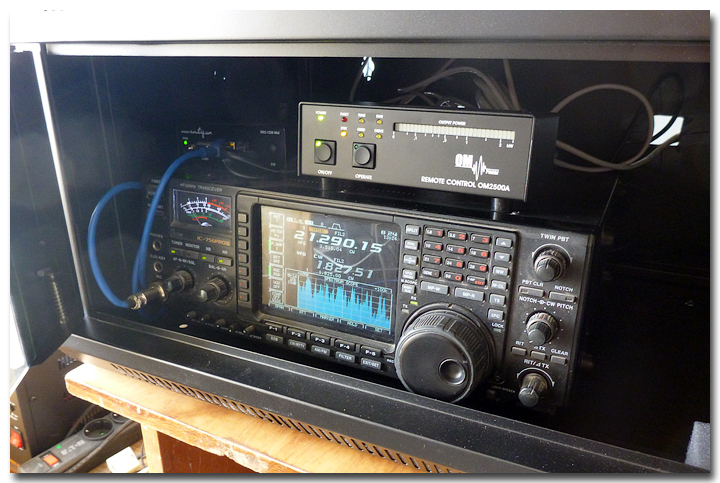 My plan is to make station operational by CQ WW CW. This year later than usual because I had to travel during CQ WW SSB. I made some ocasional trips to the station to work rare expeditions. I used to have temporary installed Beverages. So this fall I worked FT5GA, 3D2KJ, LU5YF, CX6VM, 3D20CR, R1FJM, K4M, TO7RJ, 5H3EE, TX3A, YJ0CCC for New Ones. Was very happy to work two states also. N9ADG-WA and KA7T-ID. Our activity on 160/80 meters is over. My logs been updated on my Web page Search section and LOTW. This January I made 2,136 QSO. (1,593 on 160 meters). 225 QSO's were made with USA on the Topband and 21 with Canada. This figures includes some dupes. I am happy to report and that I worked 11 new ones on 160 and 2 on 80 meters. Ken EY8/K4ZW made over 2,500 QSOs. Detailed statistics is not available but all these QSOs will be uploaded on LOTW when Ken returns home. I would like to thank all supporters and we are happy than Topband condition was helpfull. Station is already disassembled and brought back home. 73! de K4ZW and EY8MM. It will be our last night today. Than equipment will be packed and station closed till next season. Depends on QRL I might come for day to catch some rare DX-peditions. I will have only one BV antenna. Ken K4ZW managed to log 22 stations from USA on Topband. Since Jan 22 I worked over 200 QSO's with USA including WW 160 contest. Last night we had excellent signals from Carribeans but missed P40 and V31 again as they QSY for 80 meters just before my Sunrise peak. Great signal from FW5RE on Topband was highlight of this night. We will continue looking for NA today and also I will keep chasing New Ones. Ken EY8/K4ZW did a great job on 80 and 160 m tonight. Band was open to USA so he logged about 10 stations. I was active also and most of US station I worked were dupes. Please refraid from that because opennings are really short and I am getting number of messages that I was heard but no QSO. I copied ZP6CW today but no qso. Good openning to Carribean and great signals. 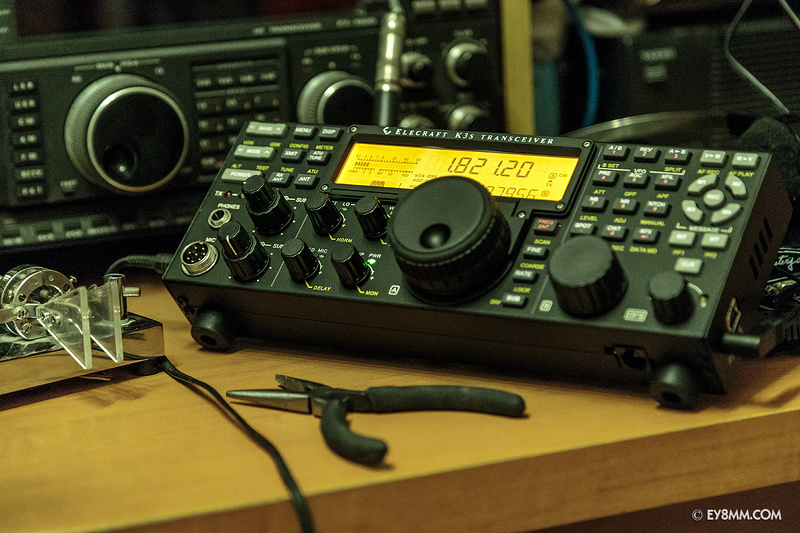 I hope more stations will be active about 2300-0200Z so I can also get some new ones. SA and NA are most difficult areas to work from Central Asia. Only two nights left till we close station till next Topband season. Band condition improved and we worked few stations from NA. It was very short peak but signals were really good. Two nights left of our activity. Please look for us and refraid making dupes if we are running pile up. We monitor packet cluster so your spots can help us understand conditions and switch to appropriate TX and RX antennas. No cluster QSO's of course. Ken K4ZW, Eduard EY7AF, Nodir EY8MM. Ken EY8/K4ZW trying his best to operate 160 m but band is not really opennend to EU and NA. He made about 700 QSO on 160 and 80 (mainly 160). Ken is trying hard to work NA stations but logged only VE1ZZ so far. VE1ZZ was not very strong. Today we will concetrate on QRL and will need to refill generator. Only promissing thing is that EU signals got a little stronger. I have updated my Logsearch page today. I am getting many e-mail messages to check my log for qso. Please see logsearch page first. That log includes CQ 160 contest now. In case you are not in log please be patient. I will reply to all questions in a little while. Please note that me and Ken K4ZW has bussiness tasks to do which has priority. Than second priority to operate 160 meters. We have constant lack of time so please understand us correctly. Contest is over. Please see my score in the CONTEST section. Ken K4ZW and Ed EY7AF arrived today and we will reach site today eveing. Still no electricity so we will use generator. We planed to have two stations on 80 and 160 at the same time but might change this till commercial power is back. Drived back to home to have little rest. Commercial power was off so I lost 6 hours of contest time before I managed to start generator. It was best time for running EU and JA so my score in the contest will be low. I will continue contest operation anyway. Highlights in the contest: over 50 USA stations, XE1RCS with incredible signal, and some extraordinary DX came back to my CQ. Will write more details after the contest. Best ever condition to North America. Worked 148 USA and 9 VE stations. KL7RA and CE1/K7CA were new countries and new zones. Online log has been updated. I am not able to check states of the stations worked today but I know that I reached at least 36 states level. Current WAZ number is 37 zones. Looking for zones 2, 6 and 13. My next trip planned on Jan 21-26. I plan to operate few days before CQ WW 160 and in the contest itself. Main priority will be given to Topband (especialy my Sunrise time). Some QSY on 80 m are possible for prearranged skeds. From Jan 26 I will be joint by Ken K4ZW who will be active on 160 meters as well. Feb 1 we will QRT. We hope to catch good openning to NA/SA which is most difficult areas to work from Central Asia. I will try to make daily updates on this page to inform Topbanders about progress of our Micro-Expedition. My 160 and 80 m antennas to NA/EU. Extensive screen between two towers used as a reflector. States worked on 160. Alaska Not worked. As a result of activity on October I made over 2K QSO including 452 in CQ WW SSB on 160 meters. First hour of the contest (on 80 meters) I heard excellent signal from W5WMU and worked LA few minutes later. During week of my activity on October I logged 8 QSO with USA on 160 meters and 42 on 80. Special thanks to Dennis NT0V and Wayne N7NG for pation and concern to my project. Sked with K0HA was very close to success and I copied solid 559 signal from Bill. I am sure that we will try it again on November. I was asked many times why I spent my SR time on 80 and do not come on 160? I will certanly spent best time on 160 but when I work my last state. 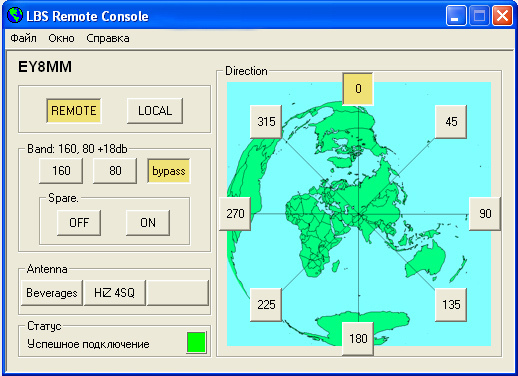 CQ WW DX SSB 2008. This contest I plan to work as SOSB 80. Few new antennas built for this band including 2 el Quad to EU/NA. I plan to visit this site on Oct 18 for work with antennas and one night operation and come to position on October 23 to operate few days on 160 and 80 meters. ND and WY worked on 80 meters. Excellent condition on 160 and 80 meters brought few new countries and two States. I hope that I will be able to work LA and NE soon. Due to extreme cold weather in the country which started early January my country QTH has no electricity supply and heating. This is officialy recognized as lowest temperature for last 25 years. I am forced to cancel operation. Even my home has limited sipply of electricity and this is force-majore situation and I will stay with my family to overcome this temporary difficulties. I plan Multi OP (EY8MM+Cluster) operation. Depends on work (QRL) I will try to be available few days before contest for skeds. I plan SOSB 80 M entry during ARRL DX contest. I will be looking for my last 4 states. November 22-26, 2007. Operation plan. 320 meter long BV to EU/NA - 320 degrees, switch. to opposite direction for VK and NA LP. 167 meter long BV to AF - 240 degrees, switch. to opposite direction for JA and KH6. 240 meter long BV to NA - 0 degrees dedicated to NA SP. I will start calling CQ on 80 meters CW about 1200Z looking for NA LP. If you are from states KS, LA, ND, NE, WY please drop me a note and we will set up a sked. About 16Z I will QSY to 160 and stay there till 2300Z. Than I qsy to 80 meters CW for NA. I have some skeds set and I plan to be around 3,510-3,520 MHz. I will opearate till my sunrise. Some changes to antennas if required. Installation of K9AY RX loop (4 directions). 1200Z start on 80 m CW for NA LP. Again QSY to 160 m at 16Z till 2230. 2230-2350 CQ NA 3,510-3,520 MHz. During CQ WW CW I will be SOSB 160 meters. My sunrise time I plan to call CQ instead of S@P which I normaly do. Reason for that that in the past contests I was not able to break pile ups for NA/SA stations through EU and NA callers. I have much better condition for receive here as I do not have such a high QRN/QRM floor and I can hear all stations quite well. My antennas resonate 1,810-1,840 with SWR below 2 so don't expect me to be above 1,840 too often. As skeds are not permitted for contests please ask for skeds only within my timetable outside contest. 0000-0030Z CQ on 160 for NA. No specific freq. 0030Z I will instantly QSY 80 meters CW for NA. 3,510-3,520 MHz. I will opearate till my sunrise. Than everything will be packed and next activity will be done on January 2008. My October activity is over and station back on standby mode. Right after CQ WW SSB all RX antennas was rolled and stored back till end of November. My October activity resulted 306 qso on Top band (C5 and FK new ones) and 1214 qso on 80 meters (C6 was a new one during the contest). I recon that it was poor conditions to NA as I worked only 9 stations on 80 meters from USA and one on Top. I plan 2 full night operation before CQ WW CW with priority to 80 meters NA looking for my 5 remaining states. So it will be NO SUNRISE operation on 160 before contest. During CQ WW CW I am planning to enter as SOSB 160 meters. Finaly after few trips I have Low Band TX antennas installed. Now I have Bisquare WEST-EAST and NORTH-SOUTH for 80 m. For 160 meters I have half square and vertical quad with reflector. All antennas are tuned but no real tests done so far because of poor condition. Next trip I plan on Oct 25 and I will operate 2 nights. RX system will consist of 4 Beverage antennas. I am going to test new 160 and 80 meters antenna system on Oct 20. Antenna work is not finished yet so it would be limited activity. Up to now I have raised elements for 80 m Bi-Square (tnx N7UA for help!). Oct 20 my plan is to arrange all feeding and test of this antenna and raise West-East direction Bobtail for 160. 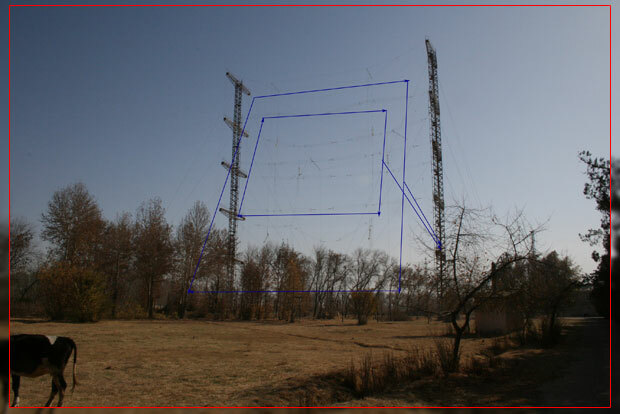 Next step planned is Vertical delta for 160 meters near extensive screen of commercial antenna. Dedicated to NA direction SP. 160 m antennas are not top priority now as my plan for CQ WW SSB is 80 m band SOSB. All receive antennas were rolled. Equipment packed and I am back home. Here few results of my low band activity in January. During 3 trips to remote QTH I tried different antennas for RX and TX and spent many hours OFF family and work. So stations in my log can assess if all my efforts were worth it. Some basic statistics for qso's made during preparation stage and CQ WW 160 contest. More detailed data about contest will be available on contest page. My main concern was US states. Working WAS over this pass is a challenge. I am still far before I can complete it but US map looks different now. I worked 156 USA stations on 80 meters over LP and SP. Other than new states I worked 9Q1EK which come back to my CQ call! Today I am leaving to country qth. 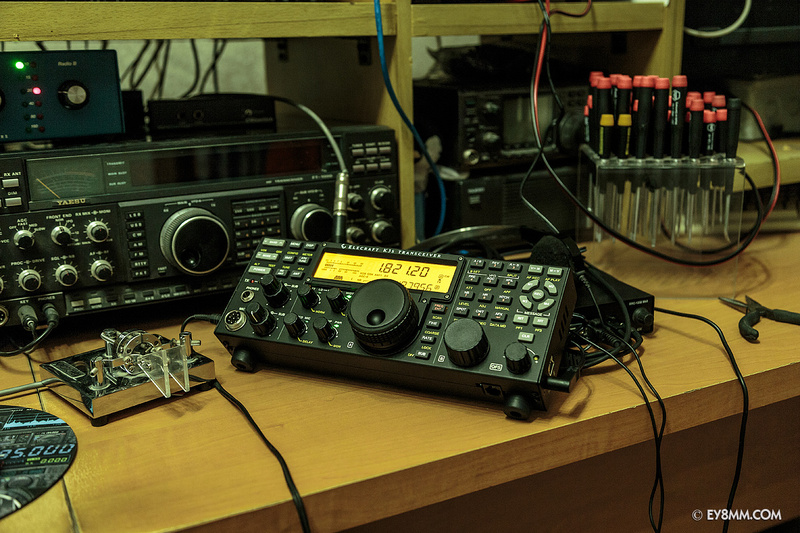 I plan to operate 80 m before the contest looking for my missing states. Instead of making skeds which I beleive not very efficient I decide to call CQ most of the time. I will be there Jan 25 for LP openning and than Jan 26 for SP and LP. I think that openning can occur instantly regardless of sked time so I just going to call as a beacon. I will make short QSY for 160 skeds. Jan 17-18. Instead of GP with N4KG feed I decided to make VP2E (Vertically Polarized 2-Element). I used all dimentions except height. In my case H1=55 meters. Top band conditions were not very good. Just a few qso. Highlight being called by SU9HP as a new country. Antenna shows reasonable directivity. I tried it on 80 with antenna tunner and worked over 80 Norh America stations! Including New States OK, MS and KY. I installed temporary BV to NA which worked good on 80 but average on 160 m (lenght=200 m). 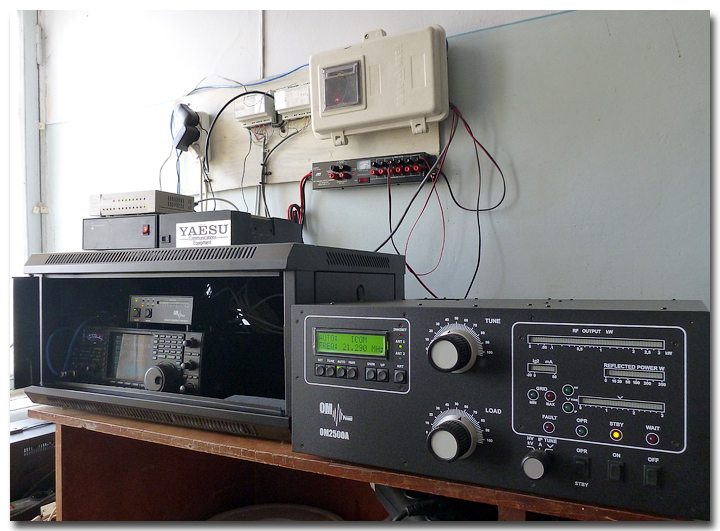 Setup was IC756ProIII and Acom 1000 (800W due to low electricity voltage). Install NA Short Pass BV on new place and check if it works OK. Try 160 feeding for vertical described in N4KG article. Operate 160 and 80 m for one night. Limited activity from home QTH. Look for me in CQ 160 CW on January 2007. I will be operating from quiet QTH and wire antennas off 55 m tower. I plan to be active one night before contest so I will accept skeds via e-mail. (nmt(at)at-communication.com). In the contest I will be as active as it possible but my priority will be new countries and NA/SA stations. I will make sure that I will call CQ this time. This year I will constantly monitor DX-cluster within contest rules. Also I will be active few hours after contest till my sunrise to make my effort more efficient. This year I plan at least 3 direction BV antenna system. While on the country QTH I plan some 80 m operation. I will be looking for NA from following states KS, KY, LA, MO, MS, MT, ND, NE, OK, UT, WY to complete my 5BWAS. SKEDS are very welcome!